Walt Disney World® Resort is a memorable vacation getaway no matter what time of year! And now you can experience even more magic than you ever imagined with a special limited time offer from TicketsatWork.com: Buy a Walt Disney World® 5 Day Park Hopper® or Park Hopper Plus® Ticket, and get 2 Extra Days FREE! 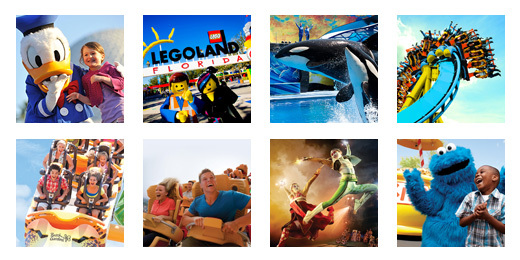 This is an exciting offer – perfect for those who want to enjoy more than one theme park per day. Choose the Park Hopper Option and come and go from Magic Kingdom® Park, Epcot®, Disney’s Hollywood Studios® and Disney’s Animal Kingdom® Theme Park. Choose the Park Hopper Plus Option for admission to more than one theme park per day, in addition to Plus Visits. Enjoy admission to Disney’s Blizzard Beach, Disney’s Typhoon Lagoon, ESPN Wide World of Sports and so much more! Beyond the seasonal excitement, you can also experience the popular attractions, rides and events that make Walt Disney World such a wonderful destination for the whole family – regardless of when you visit. Notable attractions that just opened include Pandora –­ The World of Avatar at Disney’s Animal Kingdom® Theme Park. Inside this exciting new land, guests will be transported to a visually stunning world complete with floating mountains, bioluminescent plants and all kinds of immersive adventure. There’s also the new Miss Adventure Falls at Disney’s Typhoon Lagoon Water Park. This family-raft attraction delivers a rush of excitement with family and friends as an aquatic conveyor belt chutes you into action. Then, hold on tight as you spy precious artifacts collected from all around the globe. As the latest Star Wars movie hits theaters, plan a visit to the Star Wars Launch Bay at Disney’s Hollywood Studios. The interactive walkthrough attraction features movie props from Rogue One: A Star Wars Story, games, videos and the chance to greet heroes and villains from the world of Star Wars. With the theme parks, on-site hotels, hundreds of dining options, attractions, shows and special events, you’re guaranteed to create a magical family vacation when you experience Walt Disney World. TicketsatWork.com is here to make it even better with our limited time ticket special: Buy a Walt Disney World® 5 Day Park Hopper® or Park Hopper Plus® Ticket, and get 2 Extra Days FREE!